The above is an acrylic on Canvas painting taken from the classic Superman edition No: 199, "Superman vs The Flash - who is the fastest man alive!?" This is a story and edition that has been written over and over again. 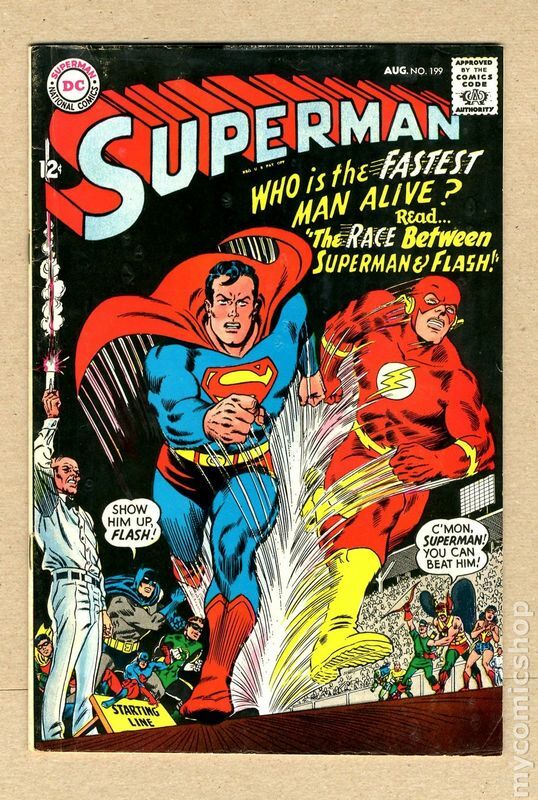 However the original edition that was released in 1967 had the front cover as above.....apart from one thing! 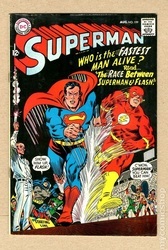 On the original cover the speach bubble that is coming from batman read "Show him up Flash", and from Hawkman it said "C'mon Superman you can beat him". 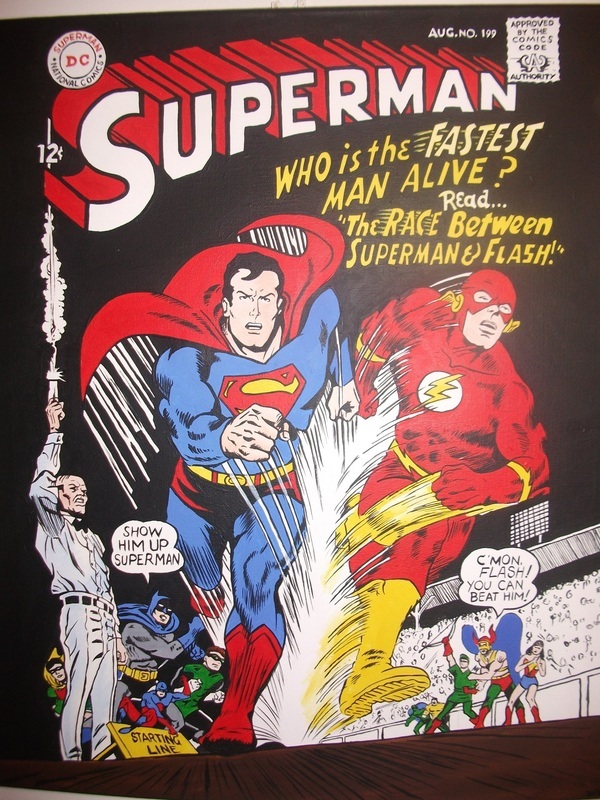 With these two statements the original artist got it wrong prior to print as Batman and Superman were "friends" and Hawkman and The Flash were "friends"! By request for this comissioned piece I changed the speach bubbles to cheer for the right person!